I made this card using inexpensive, unbranded stamps and dies. 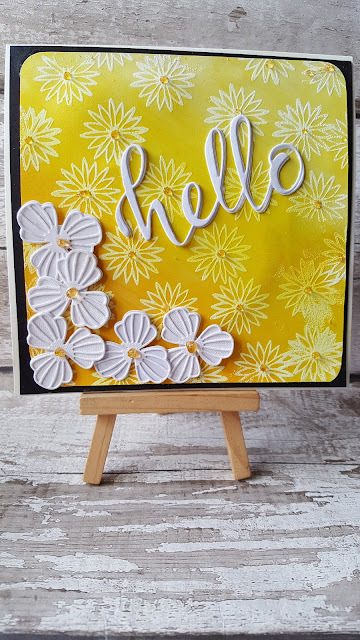 I used gelatos to do the embost resist technique over my stamped ,then embossed piece of card. I was happy with the result.